DEPARTED THE SHOW FEELING: I just found my soul brother. 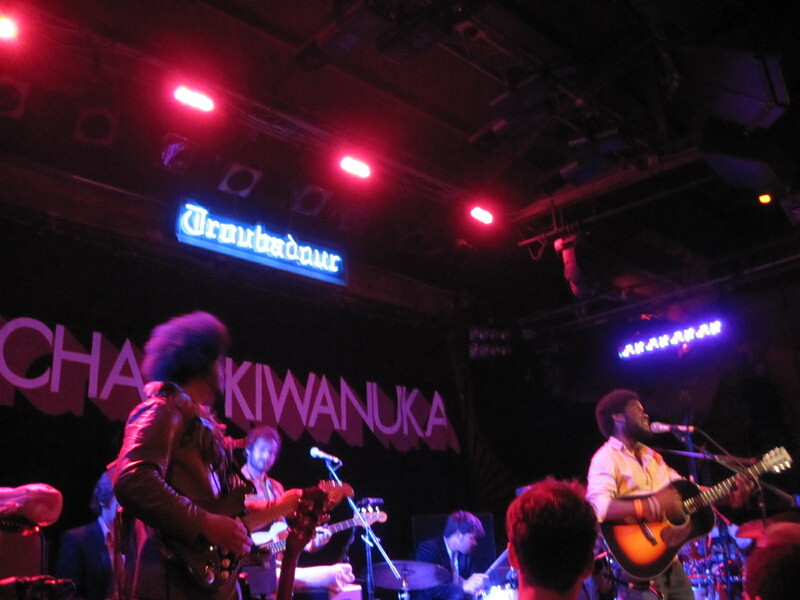 Michael Kiwanuka made a grown woman cry. No, not in a Chris Brown sort of way but with his incredible lyrical prowess and soul’d out sensibilities. I’m not joking either, she was literally hysterical rocking back and forth. M.K. 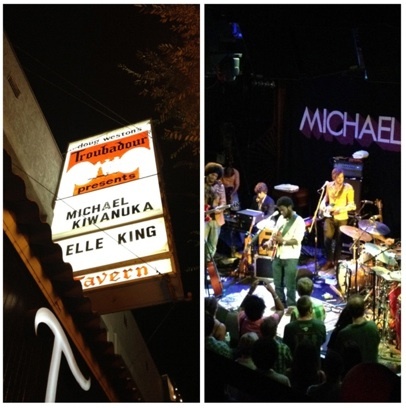 took the stage at the legendary Troubadour, and I’m going to admit something. I was ready to yawn and leave. I know, I’m a jerk but little did I know what I was getting myself into! From the opening song until the end of his hour and a half set I was completely drawn in and immersed with what this 24 year old had to offer. Mid-set Michael shook off four of his five (incredible!!!) band members to play more of a stripped down, or as it put it “original” version of some of his tunes. He progressed into a story about as a kid, what he really wanted was DJ and electronic equipment. Being poor and growing up in London all he could afford was an acoustic guitar. M.K. seemed genuinely upset by the fact that he only had this simple instrument to hone his ridiculous talent with. This story was relatable and as an audience member I felt completely drawn in and connected with this young talent. The sincerity and love of music vibrated through every strum and every note he projected on stage. The acclaim and hype this Londoner has received is well deserved. I mean, he is so likable on stage it’s disgusting. I have nothing bad to say. Damn. As a side note: M.K. pointed out this was the first tour through the states with his five piece band and these dudes SHREDDDDDDED. Insane talents across the board. Highlight: Michael Kiwanuka and band performing a Jimi Hendrix over of “Waterfall” which left every jaw on the floor for thirty minutes.